Flexibility, core strength and muscle recovery are vital components to any training program. Use the compact, Go Roller 13" Massage Roller to awaken tired muscles and relieve muscle soreness. Alleviate muscle pain from exercise and everyday activities with trigger-point therapy and self massage. Flexibility, core strength and muscle recovery are vital components to any training program. Use the compact, Go Roller 13" Massage Roller to awaken tired muscles and relieve muscle soreness. Alleviate muscle pain from exercise and everyday activities with trigger-point therapy and self massage. In the included Training Manual, you&apos;ll find effective exercises for all types of deep tissue muscle recovery. Also included are unique strength-training moves that you just can&apos;t do using standard rollers. 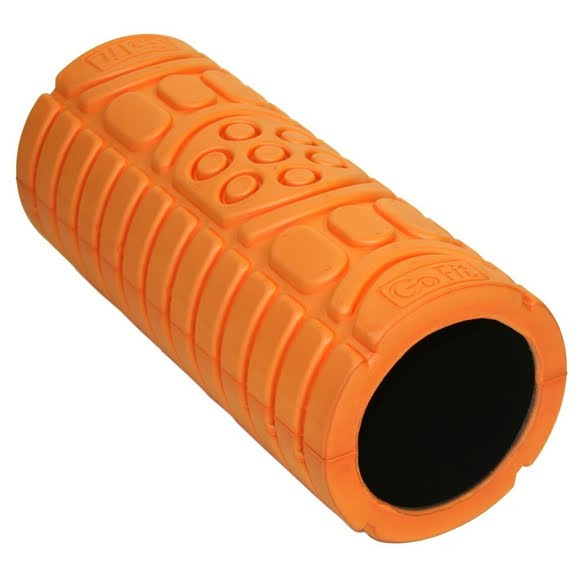 So, keep your muscles moving with the rejuvenating, strengthening deep tissue therapy of the GoFit 13" Go Roller.